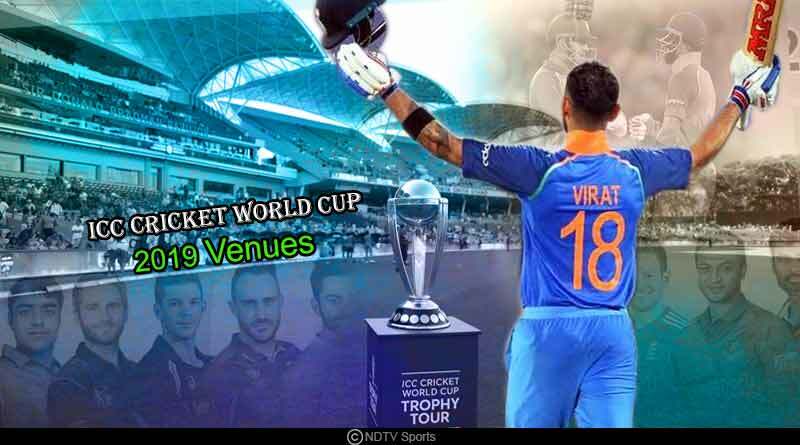 All you need to know about the ICC Cricket World Cup 2019 Venues. 2019 brings with it the biggest cricketing spectacle in the ICC Cricket World Cup, a floundering 46-day showpiece tournament which will see the best 10 nations in the world compete for a shot at the prestigious title of world champions and a shot at the glistening trophy. England who has won the rights for the prestigious and expansive tournament will be hosting the tournament, spread over a total of 11 world-class venues that will indulge spectators in a true sporting experience, owing to the exceptional and sensational facilities prevalent at the stadiums. The format for this edition of the ICC Cricket World Cup has been revamped with only the top 10 sides taking part in the tournament, bringing the number of sides down from 14 as the ICC looks to provide entertaining and competitive contests to viewers and ensure a level playing field in the marquee event. Each side will play the other once in a single-league format with the top four sides after 45 matches progressing to the semi-finals. England qualified automatically because they are hosting the tournament, as did the top seven one day international nations according to the latest ICC rankings 6 months prior to the tournament. The remaining two spots were filled by West Indies and Afghanistan who booked their berth in the tournament after progressing through from the qualifiers held in 2018. The Star Sports Network has won the broadcasting rights for the tournament in India and will be telecasting the matches on Star Sports 1, 2, Hindi/HD in both English and Hindi commentary as it looks to bring an unparalleled sports viewing experience to the country. The 2019 World Cup will be hosted by England, the fifth time it has been held in the country. It has previously hosted the tournament a total of 4 times in 1975, 1979, 1983 and 1999. Hosts England will open the tournament at the Oval on 30th May when they will take on South Africa. Lords will play host to the final while the Oval will host the opening game. The semi-finals according to the English Cricket Board will be played at Edgbaston while the London stadium will host the opening ceremony and some group stage fixtures. The rest of the games will be played across 11 England grounds which meet the ICC’s size and capacity requirements. For more articles like ICC Cricket World Cup 2019 Venues, do Subscribe to our newsletter and follow us on Facebook, Twitter and Google+.